With all the buzz around the U.S. Open at Merion, The Media Message is spreading the word about Golf Month in Media. One of the highlights of Golf Month is the premiere of Death on the 16th Fairway at Media Theatre. TV broadcaster Jim "Sports" Kelly will appear as narrator "Speedy Greens" live on stage. 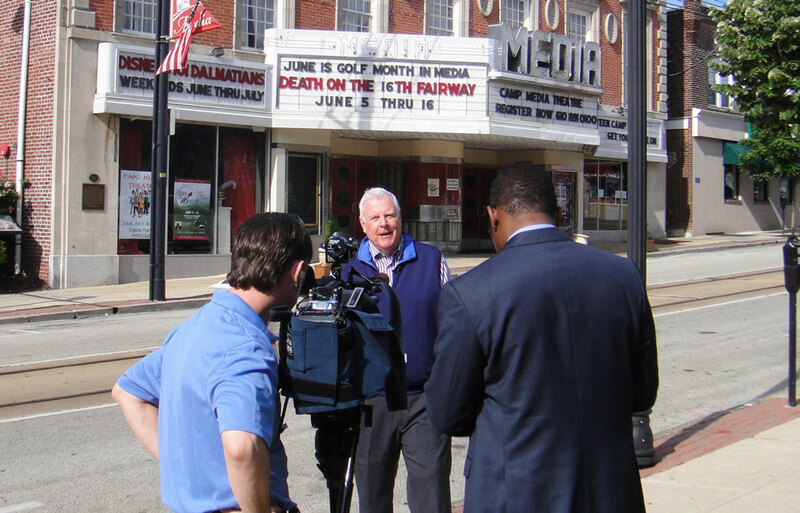 His former station, Channel 10 in Philadelphia, came to the theatre to get the details. For more details about Golf Month in Media, click here.